Bianco Eclypsia Quartzite Fitted In Brentwood, Essex. 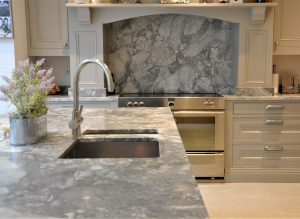 Over the last few years we have noticed a rapid increase in the number of grey worktops we are installing weekly. 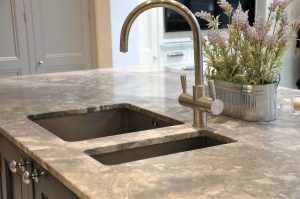 We can quite easily say that Grey is the new black, especially for the colour of worktop choice in Essex. 10 years ago every other worktop was black in colour. Now we are lucky to install two per month. Bianco Eclyspsia is a great choice of material for those with a traditional shaker painted door.